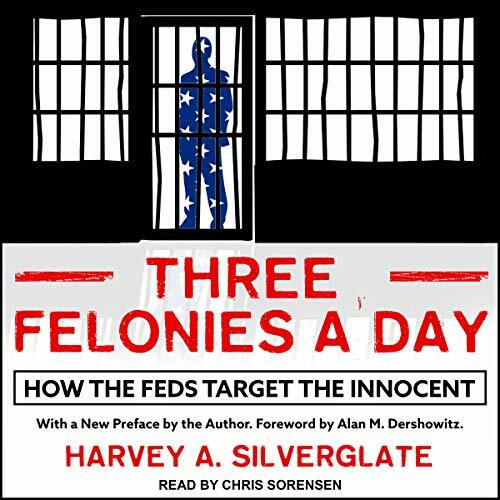 Showing results by author "Alan Dershowitz"
In Three Felonies a Day, Harvey A. Silverglate reveals how federal criminal laws have become dangerously disconnected from the English common law tradition and how prosecutors can pin arguable federal crimes on any one of us, for even the most seemingly innocuous behavior. The volume of federal crimes in recent decades has increased well beyond the statute books and into the morass of the Code of Federal Regulations, handing federal prosecutors an additional trove of vague and exceedingly complex and technical prohibitions to stick on their hapless targets. 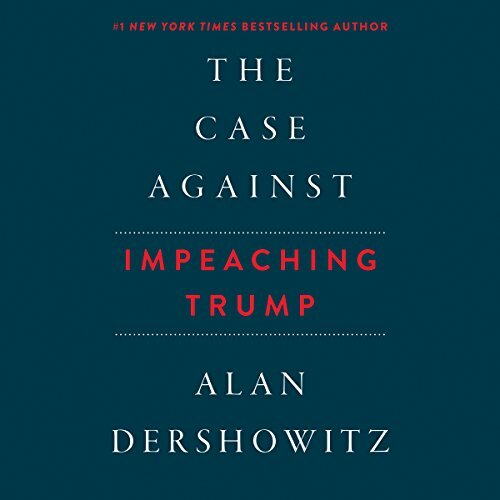 In the 2018 best seller The Case Against Impeaching Trump, Alan Dershowitz lamented how American political discourse has devolved into hypocrisy and the criminalization of political differences. Arguments to impeach Trump failed Dershowitz’s “shoe on the other foot test”, or his political golden rule: Democrats must do unto Republicans what they would have Republicans do unto them, and vice versa. Since then, we’ve only become more divided. 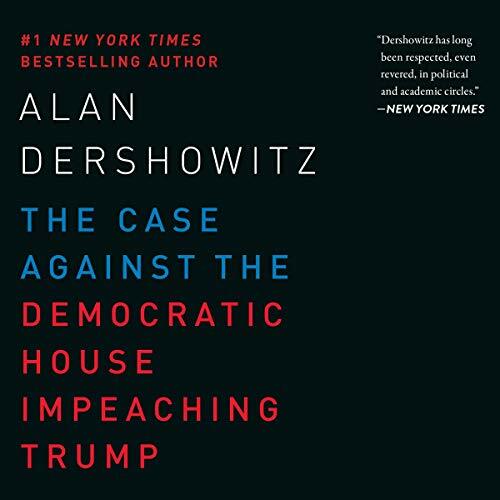 The Case Against the Democratic House Impeaching Trump includes and expands upon Dershowitz’s 2018 book. 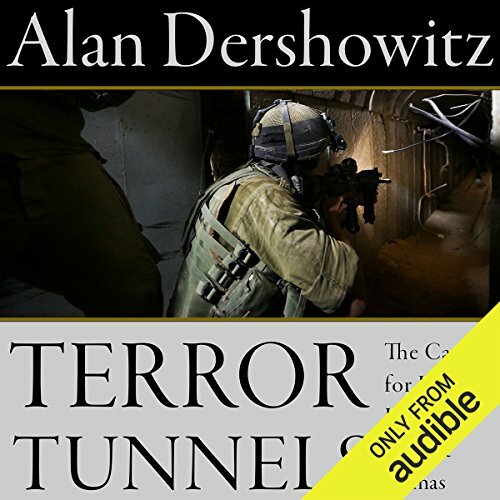 At a time when Israel is under persistent attack - on the battlefield, by international organizations, and in the court of public opinion - Alan Dershowitz presents a powerful case for Israel’s just war against terrorism. 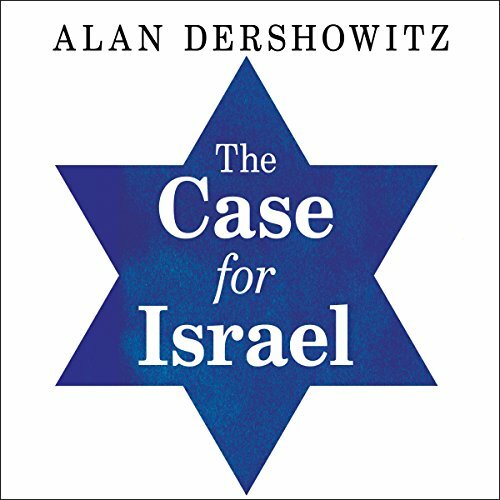 In the spirit of his international best-seller, The Case for Israel, Dershowitz shows why Israel's struggle against Hamas is a fight not only to protect its own citizens, but for all democracies. The nation-state of the Jewish people is providing a model for all who are threatened by terrorist groups. 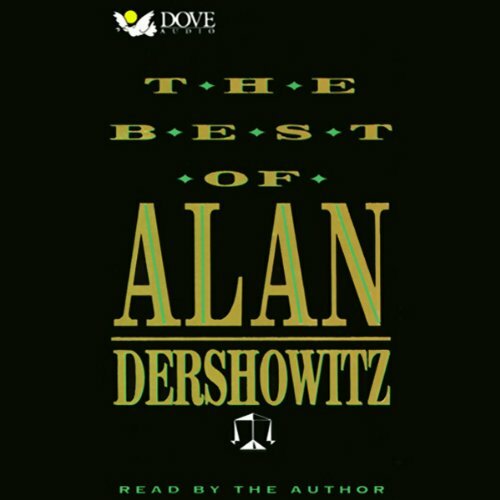 As defender of both the righteous and the questionable, Alan Dershowitz has become perhaps the most famous and outspoken attorney in the land. Whether or not they agree with his legal tactics, most people would agree that he possesses a powerful and profound sense of justice. 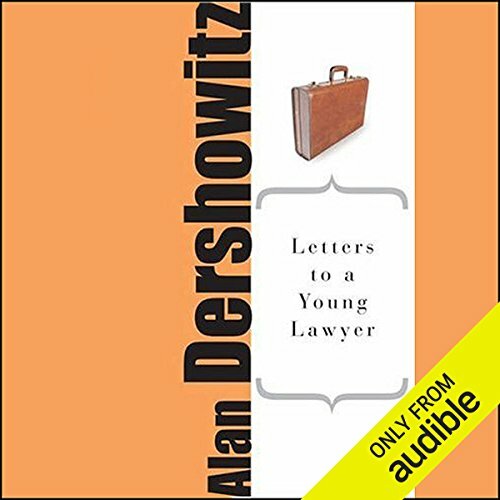 In this meditation on his profession, Dershowitz writes about life, law, and the opportunities that young lawyers have to do good and do well at the same time. 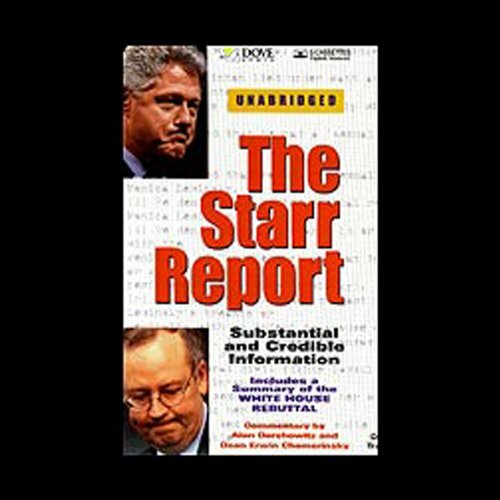 After an unprecedented, relentless four-year investigation, the long-anticipated Starr Report arrived in 36 boxes to the House of Representatives on September 9, 1998. The report brought to a close the first chapter in the saga of the trials and tribulations of the Clinton presidency. But most importantly, it was a prime piece of evidence in the subsequent impeachment hearings. What if an angel hadn't stopped Abraham from sacrificing his son Isaac? What does Genesis seem to be telling us about taking revenge? Or what is it saying about capital punishment? 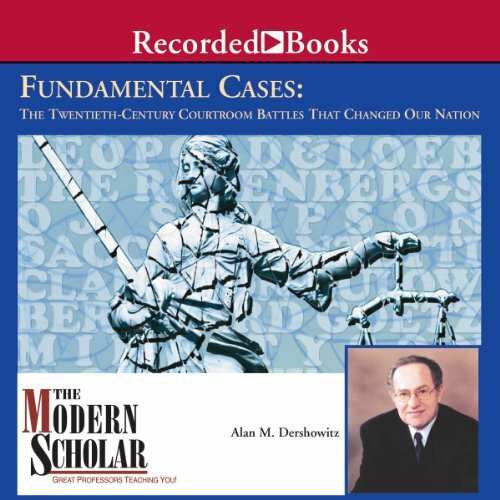 Drawing on biblical commentary from throughout the ages, Alan Dershowitz shines a brilliant legal light on the stories that comprise the foundation of our society. 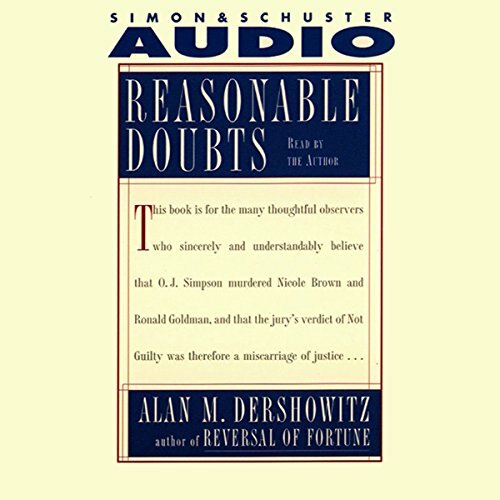 Alan Dershowitz, one of the foremost legal thinkers of our time, explores a series of questions raised by the most-watched criminal trial in American history. Through this brilliant, eye-opening account of the O.J. Simpson case, he exposes the realities of the criminal justice system of this country. 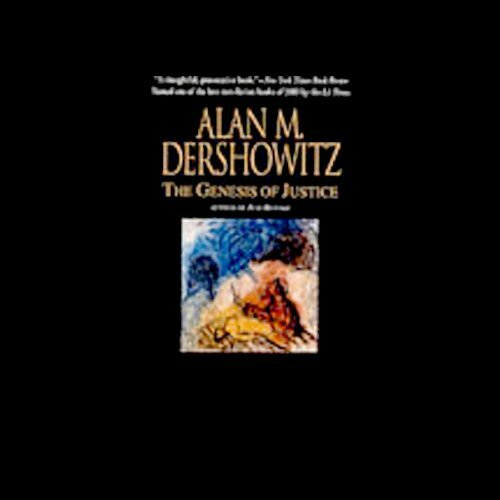 Here, Professor Dershowitz examines the issues and social forces -- media, money, gender, and race -- that shape the criminal justice system in America today. It was Alexis de Tocqueville who, when he visited the new republic for the first time, said that America was a unique country when it comes to law. Every great issue eventually comes before the courts. 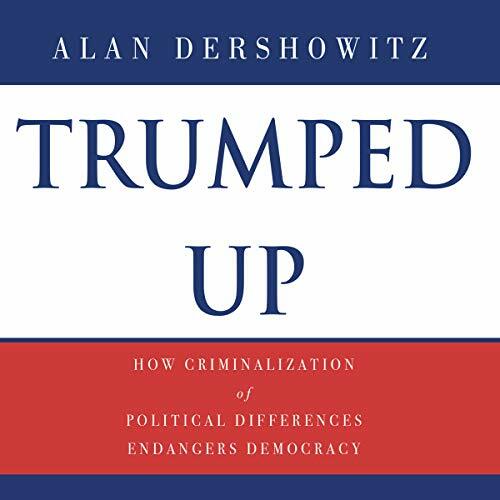 With this in mind, esteemed professor and civil liberties lawyer Alan Dershowitz looks at history through the prism of the trial, which presents a snapshot of what's going on in a particular point in time of the nation's history. I'd rather be able to rate each section. 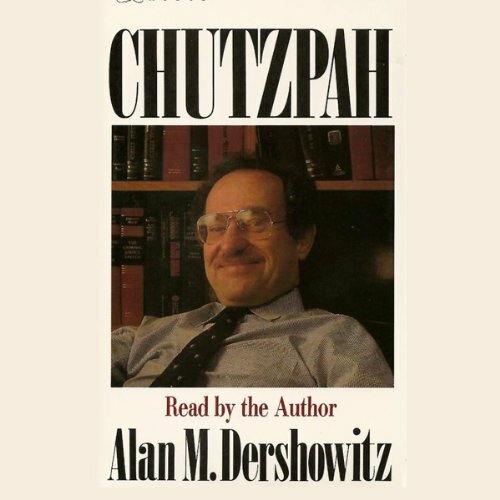 Best selling author, prominent attorney, and famed commentator Alan Dershowitz brings to bear all the chutzpah and provocative reflection of his writings and lectures. He examines such issues as anti-Semitism, Jewish assimilation, free expression vs. intolerance, and the state vs. individual rights. 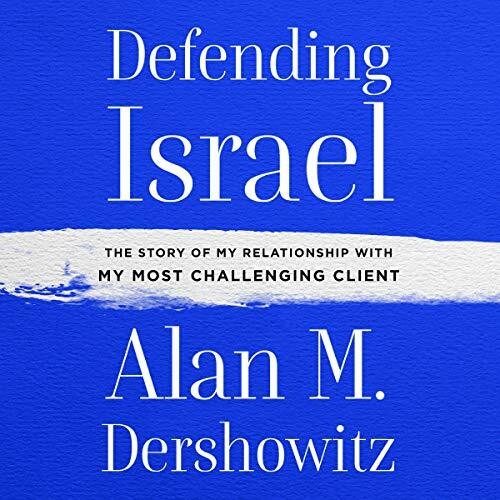 World-renowned lawyer Alan Dershowitz recounts stories from his many years of defending the state of Israel. 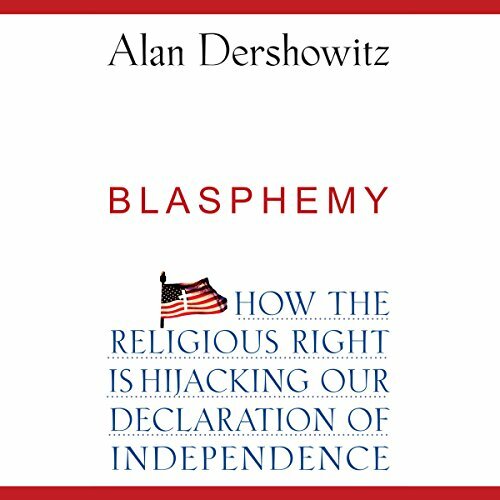 In Taking the Stand, Dershowitz reveals the evolution of his own thinking on such fundamental issues as censorship and the First Amendment, Civil Rights, Abortion, homicide, and the increasing role that science plays in a legal defense. 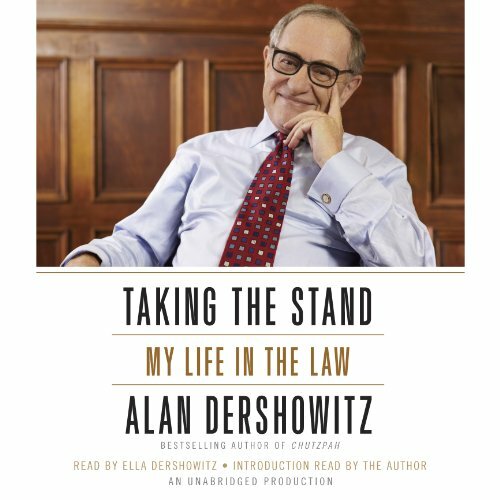 Alan Dershowitz, the Felix Frankfurter Professor of Law at Harvard University, and the author of such acclaimed bestsellers as Chutzpah, The Best Defense, and Reversal of Fortune, for the first time recounts his legal biography. Professor, you need to do the narrative! Please! In Chutzpah, Dershowitz brings together a lifetime of thought and action to provide a fascinating and provocative reflection on his generation of Jews in America. Bold and incisive, his conclusions are sure to surprise and unsettle you. Where do "rights" come from? Professor Alan Dershowitz provides an entirely new resolution to this age-old dilemma: rights, he argues, do not come from God, nature, logic, or law alone, but from particular experiences with injustice, and from trial and error. He also touches on the rights of prisoners and the situation in the Middle East. His new book is Rights from Wrongs. 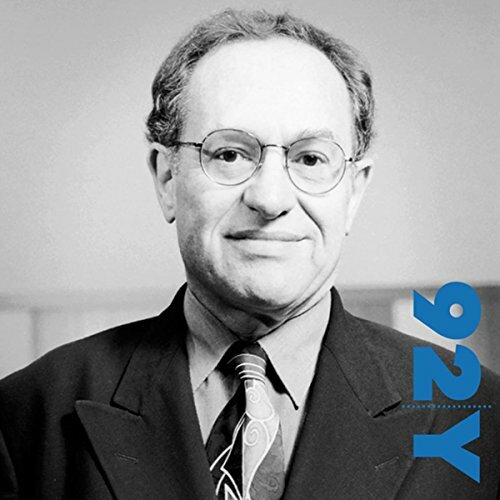 Professor Dershowitz speaks with Jeffrey Toobin, CNN legal analyst and New Yorker staff writer. 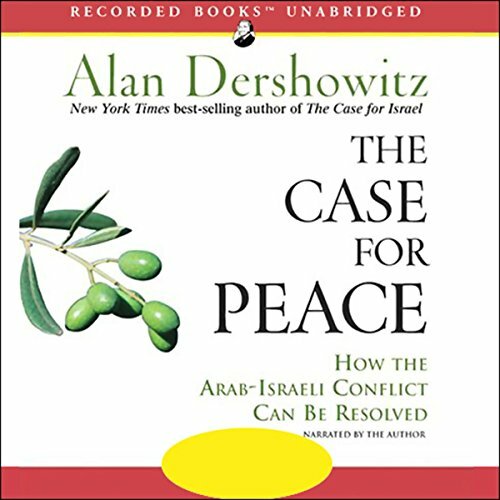 New York Times best-selling author Alan Dershowitz presents a persuasive roadmap for achieving a lasting peace between Israel and Palestine. As he did in his widely acclaimed work The Case for Israel, the renowned defender of civil liberties offers compelling, and sometimes controversial, solutions for ending this bloody, divisive conflict. 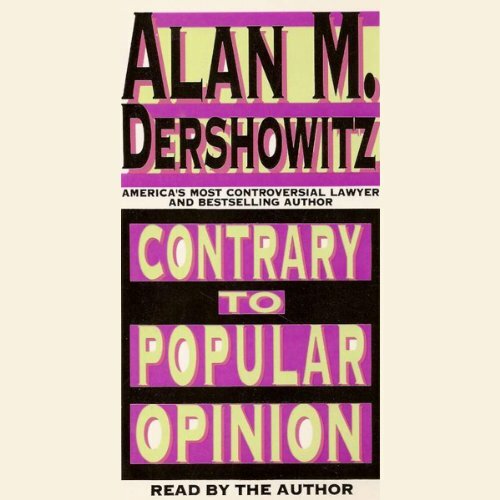 In Contrary to Popular Opinion , Alan Dershowitz selects his most current newspaper columns, articles and essays and adds original commentary to present a highly spirited discussion about the most pressing issues of our time. 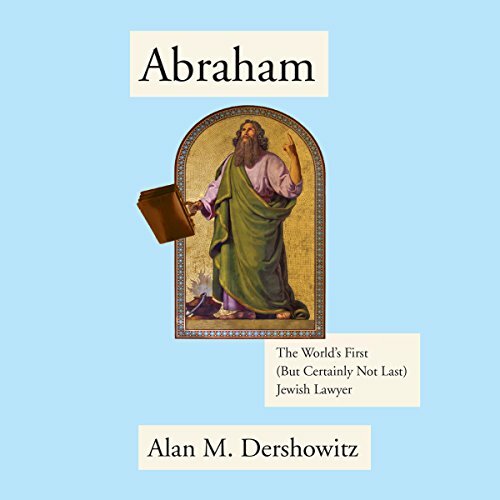 One of the world's best-known attorneys gives us a no-holds-barred history of Jewish lawyers: from the biblical Abraham, who argued with God on behalf of the doomed sinners of Sodom, through modern-day advocates who have changed the world by challenging the status quo, defending the unpopular, contributing to the rule of law, and following the biblical command to pursue justice. Entertaining and aggressive - which is what you'd expect from this author - this audiobook should appeal to anyone interested in justice.